Low income insurance plans assist unemployed job seekers in finding necessary coverage. As a currently unemployed job seeker yourself, you may be struggling with finding a low income insurance plan. Without insurance, you feel vulnerable and constantly worried. Medical bills, in particular, can cause an immense amount of worry for the uninsured. Financial professionals can offer assistance, but you may not have the finances to hire one. The good news is that you can still find low income insurance. Continue reading to discover the best ways to get a low income insurance plan with no job. Firstly, consider being added to your parents’ insurance plan. If you are under the age of 26, you are still eligible. This is true even if you no longer live at home or are married. Many unemployed and uninsured job seekers like yourself jump to the conclusion that once they move out of their parents’ home, they no longer qualify for their insurance. Check if your parents’ plan covers dependents. If it does, find coverage easily with them. Then, you can get the idea of bankruptcy filing out of your head. By getting a low income insurance plan in this way, you can focus on finding a job to get your own insurance. Another way to get low income insurance without a job is through a high deductible health plan. Although this option is not free for you like the option above, it is still low-cost. As the name suggests, this plan entails a high deductible. However, the monthly premiums are much lower than other health insurance plans. If you opt to apply for a high deductible plan, open a health savings account (HSA) as well. In doing so, you can invest in your future through saving long term. At the same time, you can maintain a less costly health insurance plan. The Affordable Care Act, often referred to as “Obamacare”, is also an option for low income insurance. This plan offers some of the best benefits for low income families. Upon qualifying, you will receive tax exemptions as well as rebates for health-related purchases. Furthermore, your premiums are based on your household income. Since you are currently unemployed and have a low household income because of it, Obamacare can offer you an inexpensive solution to health insurance. You can also rebuild your credit fast if you get back on your feet with affordable insurance. Additionally, you can find affordable insurance through your spouse’s insurance plan. For instance, if your spouse has a job that offers them adequate health insurance with domestic partner eligibility, you can be added to their plan. Look into the qualifications before ruling out the other options in this post. Numerous health insurance companies alter the guidelines for domestic partner health insurance. If you looked into this option years ago and found that you were eligible, you may not be now. Spouse insurance plans offer easy low income insurance options for unemployed individuals like yourself. Finally, you can get low income insurance with no job if your household income is at or below the Federal Poverty Line (FPL). Check to see if your annual income qualifies you. If it does, you and your family have the opportunity to apply for subsidies. You have two options: the Premium Tax Credit and the Cost-Sharing Reduction. The first provides two different payment options. The government can pay your premium directly or you can choose to claim your premium on your tax return. The latter offers out-of-pocket healthcare payment assistance. For example, if you have to go into the emergency room for medical care, your provider will cover more of the payments. Determine whether your household income is at or below the FPL. You could qualify for beneficial low income insurance. Unemployed job seekers like yourself still need insurance. 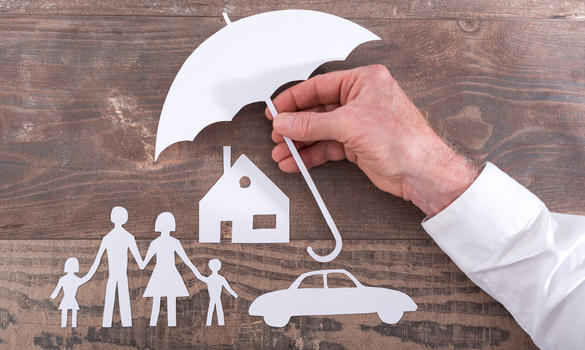 With the help of low income insurance options, you can still find the coverage you need. Consider being added to your parents’ insurance plan if you are still under the age of 26. Apply for a high deductible health plan for lower monthly premiums. See if you can find coverage under the Affordable Care Act. If your spouse’s plan offers domestic partner health insurance, you can be added easily. In addition, determine whether your household income is at or below the FPL and benefit from an available subsidy. You now know the best ways to get low income insurance with no job.